When I bought my house in San Miguel it was a mess. The plumbing definitely needed help. I called Quality 1st Plumbing and Sky came right over. He changed the fixtures in both bathtubs and sinks and also my kitchen sink. He is the nicest guy you will ever meet with the most reasonable prices. Sky will also tells you what not to do so that you will not cause a problem for yourself in the future. I later had a problem the toilet in my bathroom and Sky came over and took care of the problem in no time. His price again was extremely reasonable...I couldn't believe the price. I highly recommend Quality 1st Plumbing and Drains. You will not find a better plumber anywhere. I only trust Sky with my plumbing issues. He's the best! Quality and courtesy is definitely what you get! I have nothing negative to say, all the new plumbing and trim work in my newly remodeled bathroom is impeccable. 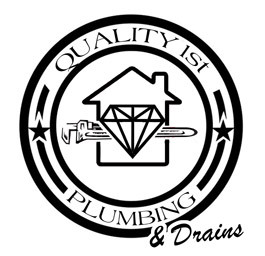 I would highly recommend Quality 1st Plumbing And Drains to everyone. I had leaks in my outside plumbing main line. He was quick to find the problem and fix it. His work ethic and business like manner was greatly appreciated. Would recommend him for any plumbing problem, and would call him again in a heart beat. Sky and his brother Nathan came out within the time frame they gave us and did an outstanding job taking care of our water heater issue. And the price! I looked at the bill and thought he left out a zero! A third of what other plumbers quoted us! We found our "Lifetime" plumbers. Thanks again Sky! this guy is awesome! his company's name truly speaks to his work ethic. I will never deal with any other plumber ever again. don't gamble on your plumbing repair talk to sky first and no worries later.